"I never would have imagined finding something so satisfying, so rewarding, that it would eclipse most all else of my time on this Earth." 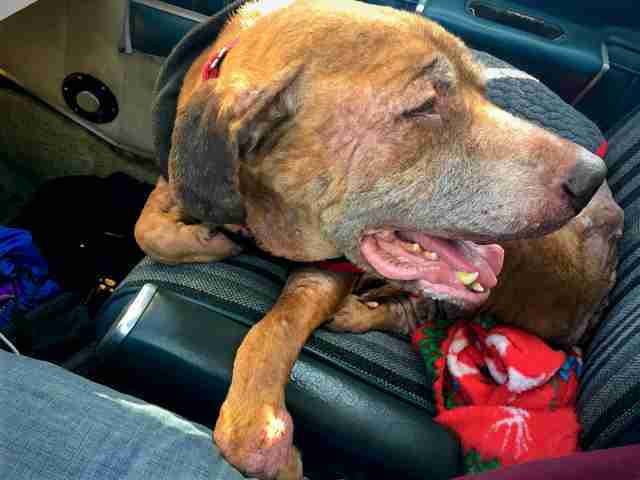 Ashlyn was an old dog at a shelter in North Carolina — and she really wasn't doing well. She'd dropped a ton of weight and she suffered from sarcomas — cancerous tumors under her skin. Yet it wasn't too late for her to have a stroke of luck. When people at the New England Humane Society (NEHS) discovered someone with a perfect home where Ashlyn could spend the last few weeks of her life, she just needed a way to get there. 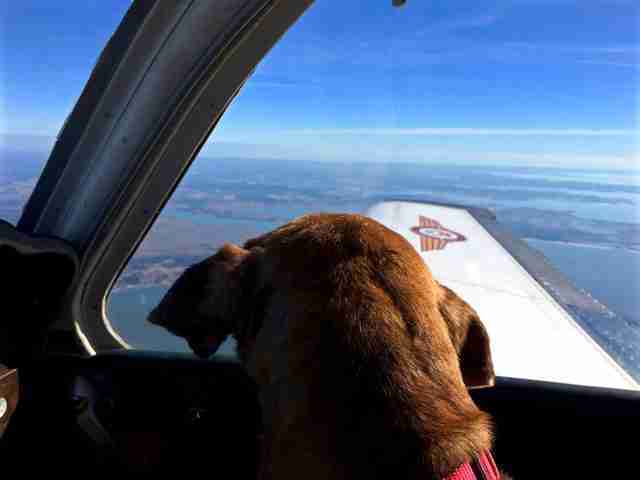 So Paul Steklenski, founder of Flying Fur Animal Rescue (FFAR), decided to fly her up in his plane. 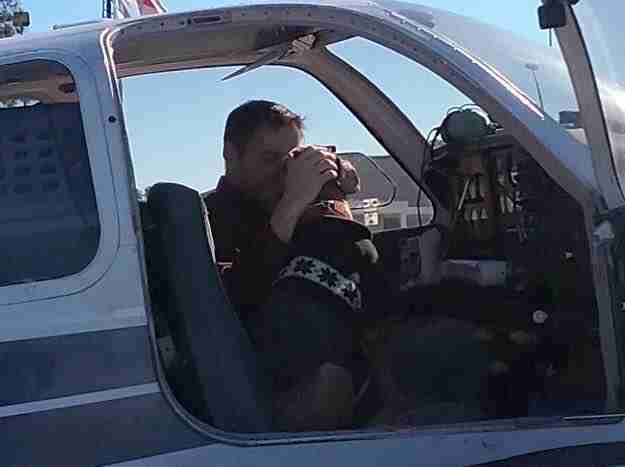 As he flew the plane with Ashlyn in the seat beside him, Steklenski started getting emotional thinking about how this might be her last ride anywhere. 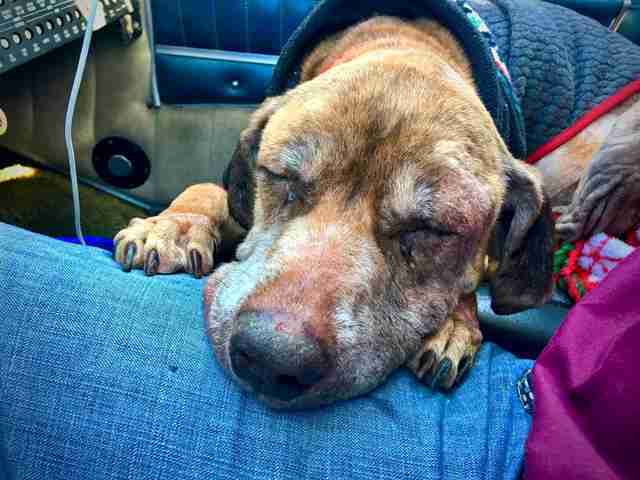 Even though he's used to flying needy dogs to rescues so they can get the homes they deserve — he usually transports about 15 to 30 dogs per month — the senior dogs particularly pull at Steklenski's heartstrings. "Those are the ones where you focus even more on what they're going through," Steklenski told The Dodo. At the beginning of the two-hour ride, Ashlyn was a bit hesitant. "She started off a little bit distant," Steklenski said. "Then she would kind open up a bit, and she got closer." The dog biscuits he fed her definitely helped her feel more comfortable. "Then she gave me one paw and then the other," he said. 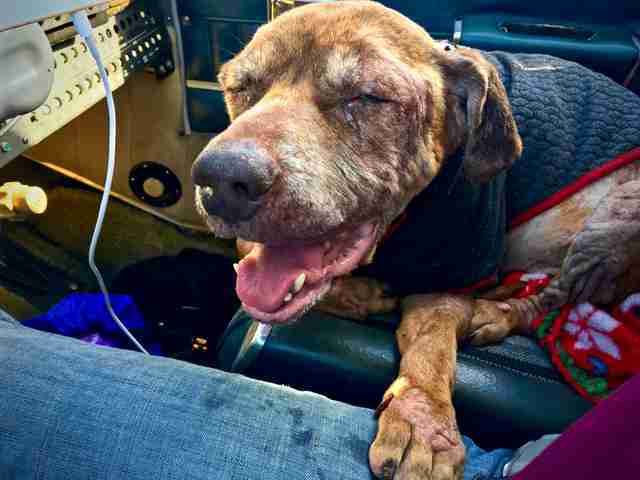 "Then she laid her head on my lap," Steklenski said. "To me, that’s huge. That’s all that matters. That’s the reward in itself." 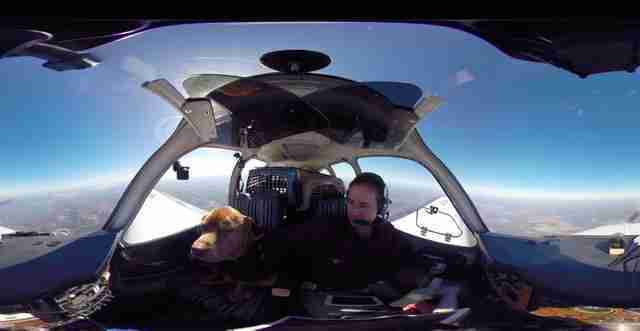 Steklenski decided to take up flying as a hobby in 2013, when he also happened to adopt a dog. These things were unrelated at the time — but soon they became inextricably linked. “We went to pet stores and then we went to shelters, and started to learn the difference,” Steklenski told The Dodo last year. And when he realized just how many needed animals there are in shelters, he decided to put his new hobby to good use. If it weren't for him, Ashlyn wouldn't be where she is now. 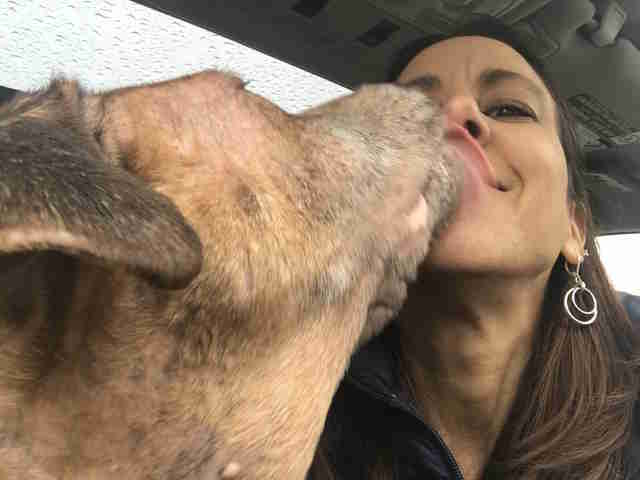 And while everyone believed they were bringing her to fospice, her recovery so far has made rescuers think she may have more time left than anyone thought. 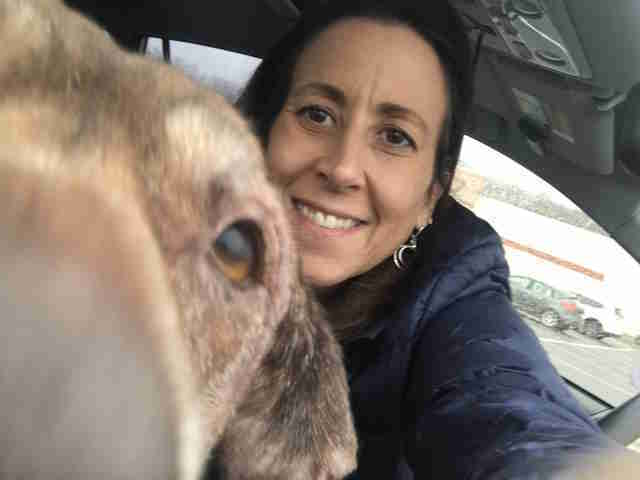 "When I picked her up from the airport, her condition destroyed me," Tracy Lander, who has three dogs of her own and has been fostering dogs for the NEHS for two years, told The Dodo. "She was down to 39 pounds — her ideal weight is between 65 and 70. She came to me with a sweater on — when I took it off, I could see every rib." Lander started feeding Ashlyn three times a day to get her weight back up. 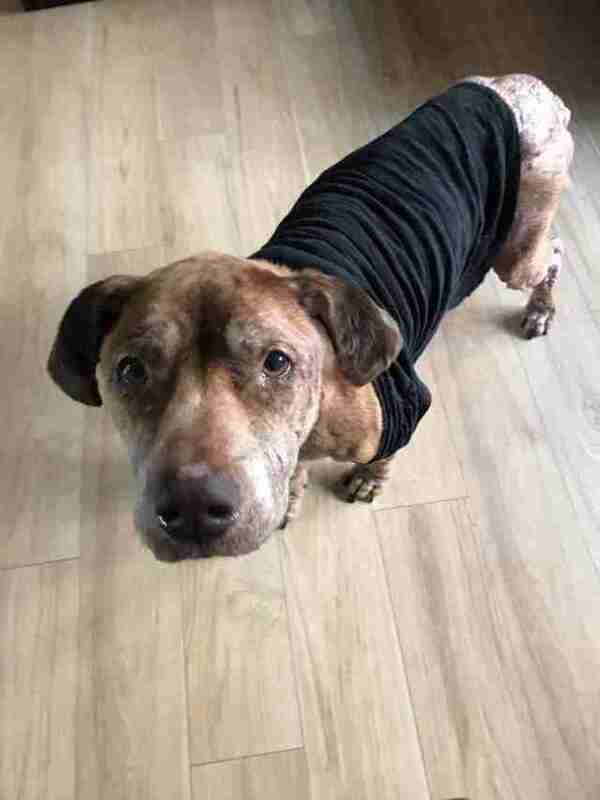 She also gave her supplements to help her cope with her multiple health problems, from her skin troubles (believed to be caused by chemical burns) to her tumors. Soon, Ashlyn started to transform a bit. "She’s getting around more," Lander said. "She’s a great eater ... and she’s very attached to me." 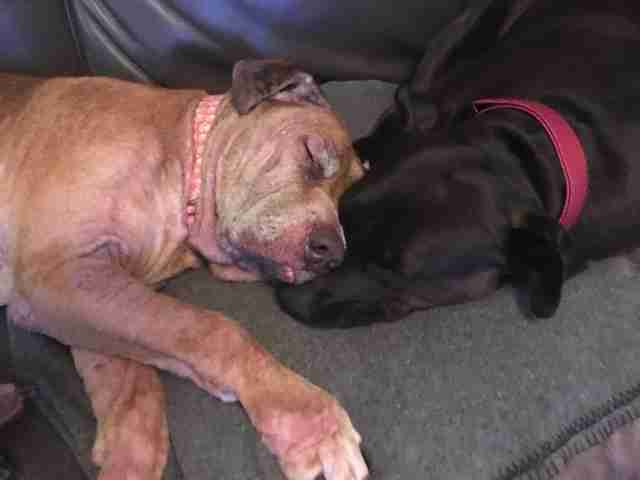 Ashlyn has even taken to snuggling up to Angel, one of Lander's other dogs. 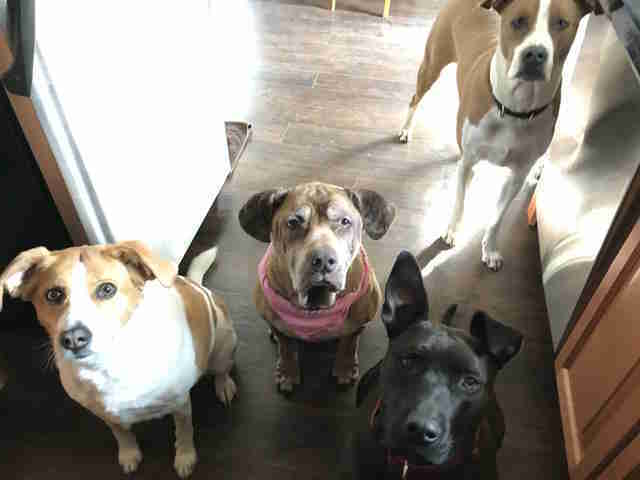 And Xander, Lander's boxer mix, has also become interested in bonding with Ashlyn. "He’ll go up to Ashlyn and just start licking her," Lander said. "He thinks he can heal everybody with his tongue." Ashlyn came to live with the Landers in January, and no one knew how much time she'd have. 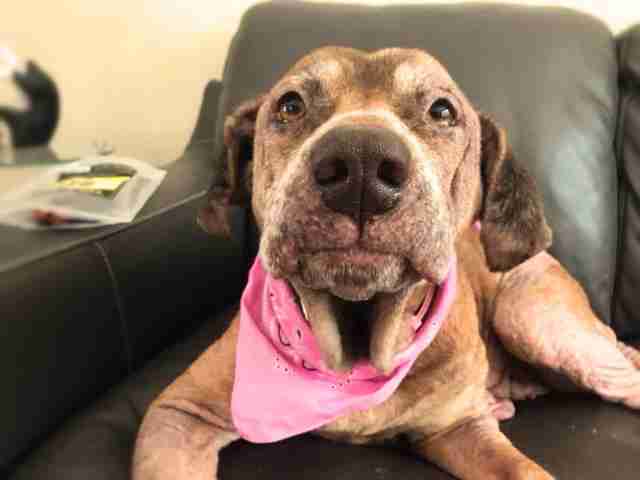 Now that it's April, they aren't thinking of her as the fospice dog, just someone who reminds them to live in the present and treasure every day — that's always a good lesson anyway. "She knows she’s loved," Lander said. "Whatever happens she knows she’s loved." The day Ashlyn boarded Steklenski's plane, no one imagined she'd make such huge strides. 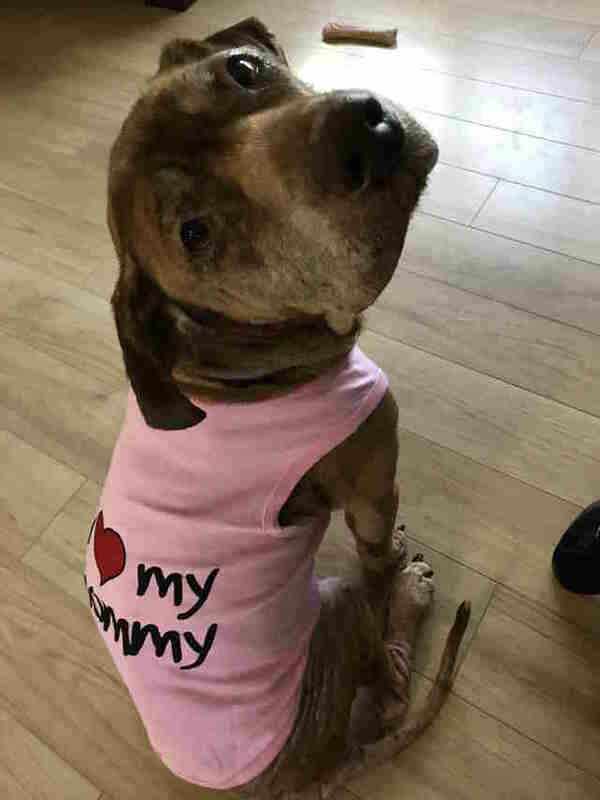 She went from an exhausted shelter dog to part of a loving family — and that's exactly why Steklenski does what he does. "I never would have imagined finding something so satisfying, so rewarding, that it would eclipse most all else of my time on this Earth," Steklenski added. 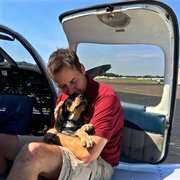 To help other dogs get the love they deserve, you can make a donation to Flying Fur Animal Rescue or New England Humane Society.